Ready to take the path less traveled, looking for campers for sale in Wisconsin that make it a breeze to explore new trails? If so then you need to come to your local Airstream dealer in Wisconsin and see one of the many new and used Airstream trailers for sale. 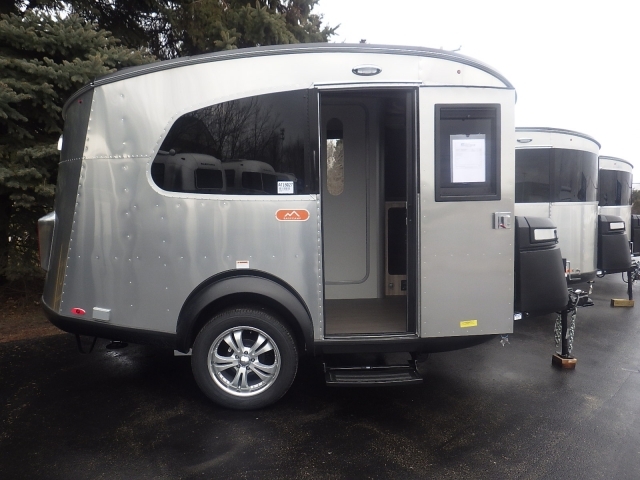 Here at Ewald’s Airstream of Wisconsin, we have a large selection of new and used travel trailers for sale with everything from an Airstream Bambi, to an Airstream Basecamp and everything in between. Here at Ewald’s Airstream, we understand that when it comes to picking an Airstream camper that fits your wants and needs the process can seem overwhelming. Which is why we have a team of friendly and knowledgeable people who are happy to answer any and all questions you may have about one of the many new and used cars for sale. That includes questions about the all-new Airstream Basecamp for sale. This Airstream for sale is ready to take the path less traveled and answer the call of the open road. 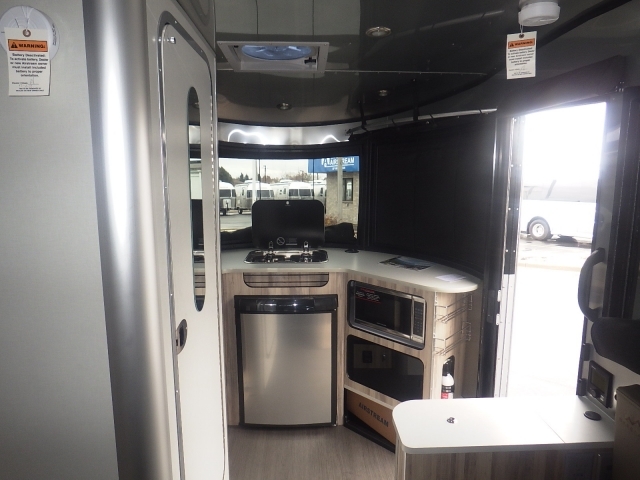 Do not let the size of these Airstream campers for sale fool you with hidden storage features inside and out you will be able to take all of the comforts of home wherever you go. The Airstream Basecamp is the perfect size of solo full time living or for a romantic weekend getaway. This Airstream for sale can sleep up to two people comfortably with a multi-functional seating and sleeping area. The seating area can be converted into a queen-size or two twin size mattresses giving you multiple sleeping options. These campers for sale in Wisconsin also come with a galley style kitchen. With space savers like a folding side table, cutting board sink cover, you will have plenty of space to prepare and serve all of your favorite meals. This Airstream Bambi trailers also comes with a three piece bathroom comes with a shower and toilet and even a retractable clothesline. With a continuous water heating system, you never have to worry about running out of hot water again. Hidden storage features can be found throughout this travel trailer for sale, so your living space is always clean and clutter free. Bungee storage on the door and ceiling keeps your gear dry and out of the way. Hidden storage under the dinette benches lets your store all of your things, so they are out of sight and out of the way. Panoramic windows allow light to stream in and fill this Airstream Bambi, while blackout curtains give you total privacy. Stretch even more with attachable hatch tents that let you enjoy the outdoors without the annoyance of bugs. The Airstream Basecamp is lightweight and durable making it perfect for those seeking to get off the beaten path. Plus this teardrop trailers aerodynamic design means less drag and less pain at the pump. Come to your local Airstream dealer in Wisconsin and see the all-new Airstream Basecamp for sale. If this Airstream Bambi is not what you are looking for come and see one of the many other campers for sale in Wisconsin. When you are looking for Airstream dealers near you, come to Ewald’s Airstream of Wisconsin at 6319 S 108th ST in Franklin, WI 53132.